There's a book called Growing Strong in God's Family on my bookshelf. It cost about $5, and my dentist and I worked through it together years ago in a class at church. While God didn't work solely through that book, it played an important part in strengthening my dentist's faith, keeping him open to discerning God's call, and encouraging him to go when the opportunity arose to travel to Africa and provide dental services to a rural village. And when the people of the village asked him to speak about his faith, he drew from what he had learned from that book. When we give to the church we create opportunities for God to transform people. Those transformed people then impact the world in amazing ways. Giving to the church provides worship services, clergy and staff, spaces to meet, curriculum to study, and opportunities to serve that all bring people in touch with God. Giving to the church enables it to serve as an incubator where God transforms people, inspiring and empowering them to make a positive difference in the world and multiplying the impact of the giving. I'm so grateful for your giving and the way it is enabling FUMCR to facilitate transformative encounters with God. This past week 600 children have learned about God in Vacation Bible Camp, made possible by facilities, curriculum, and over 200 volunteers, each with their own story of how God worked through the church to inspire them to serve. 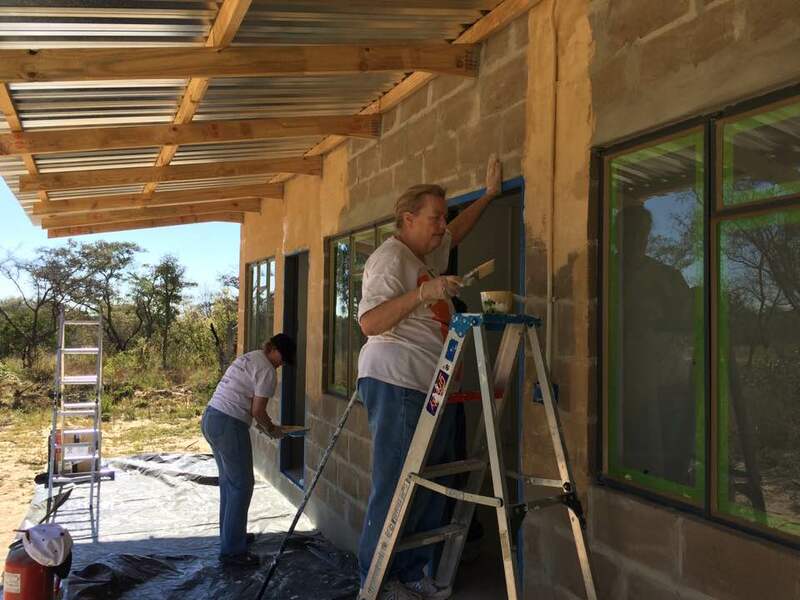 School children and teachers in South Africa are having facilities constructed and expanded for them by a team from our church this week. Last week we hosted a worship service where our own Pavielle Jenkins was commissioned in one of the final stages of her ordination as a pastor. Last year members of our church were instrumental in expanding prison ministry to a new facility where they will be conduits for God's Spirit in transforming the hearts of prisoners. Thank you for making this and more possible! As we head into summer, our finance team has shared with me that our actual income is lower than our budgeted income. Can you help us eliminate that gap, so that we can continue to do everything we had hoped to do this year to create opportunities for God to transform people who will change our world for the better? One-time gifts are helpful, and annual pledges tied to recurring gifts are absolutely amazing for the gifts themselves and for the predictability they provide for planning our ministries. Click here to give and/or pledge. Thank you so very much for your generosity and all the ways you make our church such a wonderful place to serve! I hope you'll join Pastor Julie, worship director, Eric, the Access band, and me this Sunday as we continue our Hero Central series of sermons with the second lesson Christians can learn from superheroes: practice your superpowers!